This year as I've thought about what I wanted my one little word to be, so many came to my mind. It was unclear for a long time which way I wanted to go with mine. This past year as we've dealt with our infertility journey, I really had some rough days, which allowed time to take stock of my life and what I want out of it. As we put that part of our lives on hold for now, I have a unique opportunity to focus on several other areas of my life. Returning to school is huge for me. It's something I've circled around the past couple years as we have lived in Rexburg, but has never worked out due to schedules, work or other demands. But this is my year to make that a priority, and I couldn't be more nervous/excited. With Zoe heading into Kindergarten this coming Fall, I have so much I want to teach her before then. I've made some preliminary plans to help her with reading and writing, as well as enroll her in some activities, to help her flourish on her own. I want our household to have more function and more purpose, hoping to include more family activities and specific events, just with the three of us, even with our busy schedules. This past year I've grown closer to God. I've relied heavily on faith and hope to get me through the days when my heart just won't stop breaking. I've clung to Priesthood blessings, my Patriarchal blessing, and scriptures full of promises to help light the way of my future. I want so much more of that in 2013. I want my spirituality to be even more a part of my day. I've been given some amazing opportunities creatively for the upcoming year, some I've announced already, and some I'm still holding onto, waiting for the right time to share. I can't wait to take my creative projects to the next level. Life is hard. It is. We all have moments, hours, days or weeks that shake us. I feel like my personal growth in 2012, took a long break or even shrunk back a little, making me afraid to do the things I wanted to do. 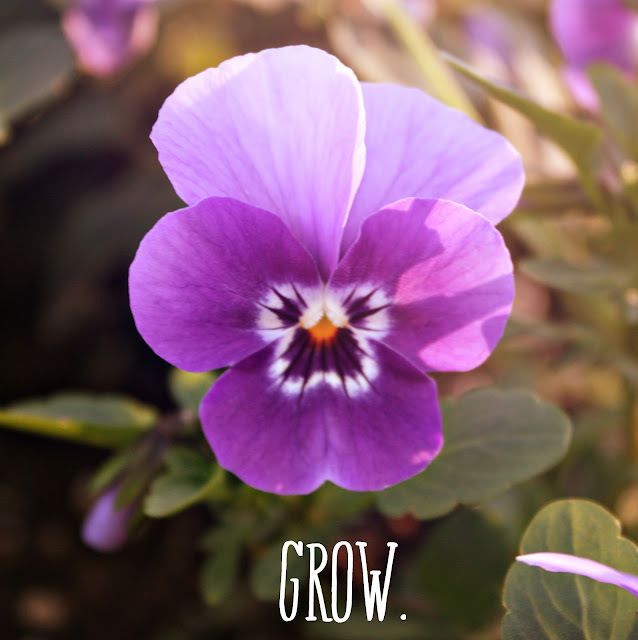 But this year, I want to grow. If you are doing one little word this year, I'd love to read you posts, leave a comment with the link! What a great word Holly! Hoping this year is a fantastic year for you and your family! I love your choice of word and the opportunities it will bring you! I look forward to following your journey this year! Thank you for being you. Love you!